Headaches? Neck pain? The cause may be.. If you are experiencing Tension Headaches, TMJ pain, respiratory problems, shoulder pain, upper back or neck pain then you may have a postural imbalance known as the Upper Cross Syndrome. This occurs in individuals that exhibit frequent poor posture or work from a position where everything you do is in front of you like hairdressers, massage therapists, chiropractors, office and computer workers, or pretty much a good majority of people in general. This pattern of poor body mechanics can over tighten the muscles of the chest (pecs) and traps while weakening the shoulder retractors and deep neck flexors as shown. 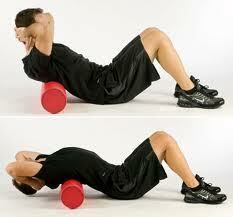 This can be fixed by stretching the tight and overworked muscles and strengthening the weak and inhibited muscles. Tight muscles to stretch: Pecs, Upper traps, Levator scapula, and thoracic extension. 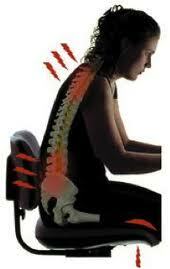 The problem caused because of improper posture is serious problem and is common among people causing neck pain, etc. For those of us who work at a desk for a majority of the day….It’s time to be aware what is causing our headaches and neck pain.